Vaser liposuction body contouring technology is a procedure that selectively removes unwanted fat from the body with excellent results. The advanced ultrasound technology designed to shape your body is used, destroying the fat while preserving these other important to promote smooth results and rapid healing tissues. What is the difference between Vaser Liposuction and laser liposuction or traditional liposuction? The main difference is that in the VaserLipo Ultrasound is used, which produces cavitation (through a physical change, produce lipo fat extraction, and produce fibrosis, so shrinkage is greater). The cannula used in this surgery radiates ultrasound, causing cavitation and fibrosis. These features make the result of the Vaserlipo better in terms of the quality of the skin after the procedure (it is not so loose). Is recovery like any liposuction? This procedure has a recovery like any kind of liposuction, which is determined by the amount of fat to be extracted. 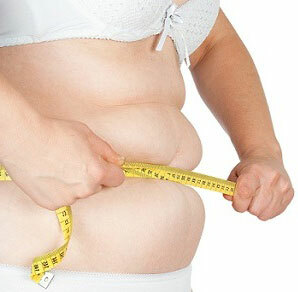 A greater amount of fat being removed, means it is more invasive and thus the longer the recovery. One could even say that the Vaserlipo is more invasive than a traditional, since it involves a prior procedure before lipo (pass the cannula with ultrasound). What are the best areas for Vaser lipo? In the case of men, gynecomastia, as it is an area where it is necessary that the skin is firm and this is done very well with Vaserlipo. In the case of women the best result is seen in the sacrum (lower back area that excess fat is noticeable). The second area that is best is the inner thighs, and lateral thighs. The remaining areas respond more or less similar, except for certain places in the body where lipo doesn’t have any good results. These areas are the anterior and posterior thigh and the typical roll that forms in the back due to the support (since the dermis is very thick and little fat accumulates). Vaserlipo works for any area, but it works well in small areas, since the shrinkage is higher, you can have a more marked effect. It is ideal for localised fat. Does this procedure help combat lipodystrophy (commonly known as cellulite)? First of all it must be clarified that there is no treatment to eliminate lipodystrophy. Any procedure that stimulates the production of collagen and elastin help combats this aesthetic problem, but does not eliminate it. Vaserlipo stimulates the production of collagen, which helps fight cellulite call. Does the liposuctioned fat recover? All people are born with genetically predetermined load of fat cells in each area of your body. That is why some people have to accumulate fat in the legs, sometimes in the arms and back for example. When any type of liposuction is performed, certain fat cells will not recover the same way. If you gain weight after liposuction, it does not get fat by the same amount, or in the same way before performing the procedure. Can you perform a secondary Vaser lipo? Secondary lipos (second time a liposuction of any kind is made), are ideal to be performed with the Vaser procedure. When a traditional lipo is performed, it produces low fat due to excessive fibrosis (fat is inserted into the tissue), whereas the Vaser disarms these fats and can completely remove them. Secondary lipo is the perfect place to perform with the Vaser procedure. Who would not be candidates for Vaser lipo? Anyone with extreme obesity is not a candidate for any type of lipo suction, or those with certain health conditions, such as heart problems. Can you re-inject the fat extracted from a Vaser lipo? No, because in this procedure it destroys the fat. It is common that many patients want to return to lipo to inject fat in other areas such as the buttocks. This type of procedure cannot be performed with Vaser. How important is the post-operative recovery? Very important; it is more necessary than with other types of liposuction since fibrosis is greater. More is needed with regards to massage, ultrasound and RF. The result is also determined by a good post-operative instructions being followed by the patients themselves. Are the scars are equal to those of any liposuction? Yes, and also some skin care protectors are used. What kind of anesthesia is required? How long after you see the results? The speed of the results will be determined by the amount of fat removed and the extent of the procedure (amount of treated areas).